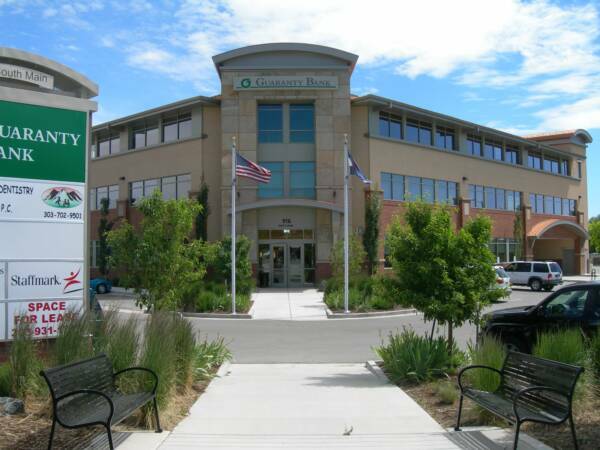 Our office is located inside the AM First Bank Building at 916 South Main Street suite 303 in Longmont, Colorado. We are located on the east side of Main Street (across the street from the Department of Motor Vehicle) just to the south of Ken Pratt Blvd. We are contracted Preferred Providers for most major dental insurance companies. If you have a question regarding your insurance or would like to find out if we are a provider for your insurance company please contact us. Our office hours are Tuesday - Friday, 8:00 am - 5:00 pm. If you would like to schedule an appointment or would like to find out more information about our office and laser enhanced dentistry, please contact us at (303) 485-9123 or email Dr. Wood at bradcwood@hotmail.com.